“the city returns to be mega scene productions for international television”, stood out from the EMPROTUR. The Amazing Race recorded one of the stages in San Carlos de Bariloche, before continuing in Germany. With a hearing considered of more than one hundred twenty million viewers, the program returns to put to the city like mega scene productions for signal CBS. 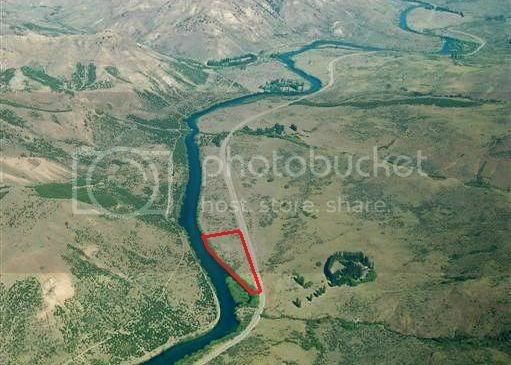 Of an enormous promotional value the recording included leases on Rio Limay and the stay Chacabuco Bunker. It is the second time in four years that the producers of the greater program of competitions in format reality of the world, elije to Bariloche like scene for its productions. The Amazing Race (the Great Race) is a Reality Show, winning manifold of the Emmy, and normally it is emitted in episodes of one hour, in which equipment of two or four members runs around the world in competition against other equipment. The program of the CBS and emitted by AXN in Latin America has been to the air from year 2001 and recently thirteenth season has finished his. The show is lead by the Neozelandés Phil Keoghan and was created by Elise Doganieri and Bertram van Munster. Excellent Program of Reality has already been awarded with the Emmy of the Primetime (the hour strip with greater hearing) in the category “/Competition” every year since the category was created in 2003 to date. EVIDENCE: Confirmed by CBS Press Release. 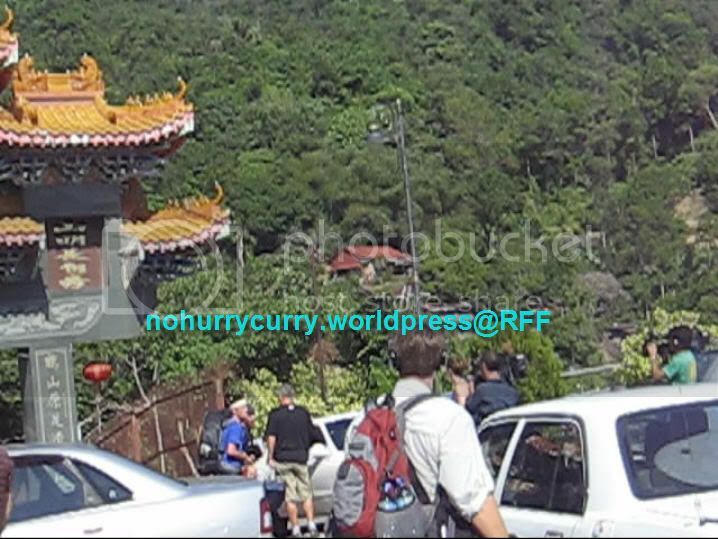 ROUTE INFO: Find Kuan Yin Teng Temple? 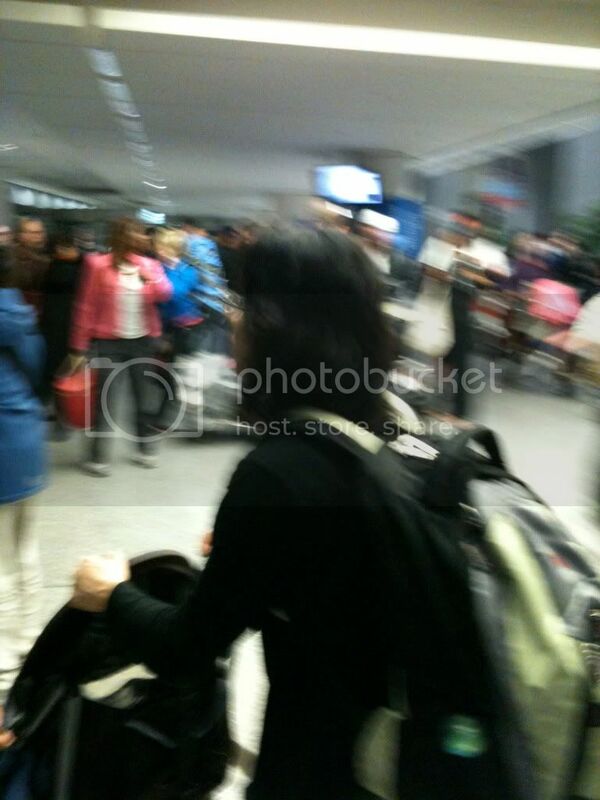 *stephanietang Spotted AmaZing race crew at s'pore!! Bugis near temple. *@heyhay28 hey there its at SINGAPORE. at Bugis. Near a very popular temple. didnt get to see any participants yet. USA Version. *i'm afraid she didn't take any pictures, cause she had no idea it's the AMAZING RACE till she saw the picture in the newspaper report! i so wanted to be there too! Photo matching completed!! It is our short haired ladies in camo!! *Thank you guys.... check out the AMAZING RACE ASIA...... Saw the filming at Singapore flyer & Sentosa. Due the the show, they close the flyer from public until 12.30pm, we were way too early...end up took the flyer in the evening. A great trip..
*Mint Lee Thank you guys.... check out the AMAZING RACE ASIA...... Saw the filming at Singapore flyer & Sentosa. Due the the show, they close the flyer from public until 12.30pm, we were way too early...end up took the flyer in the evening. 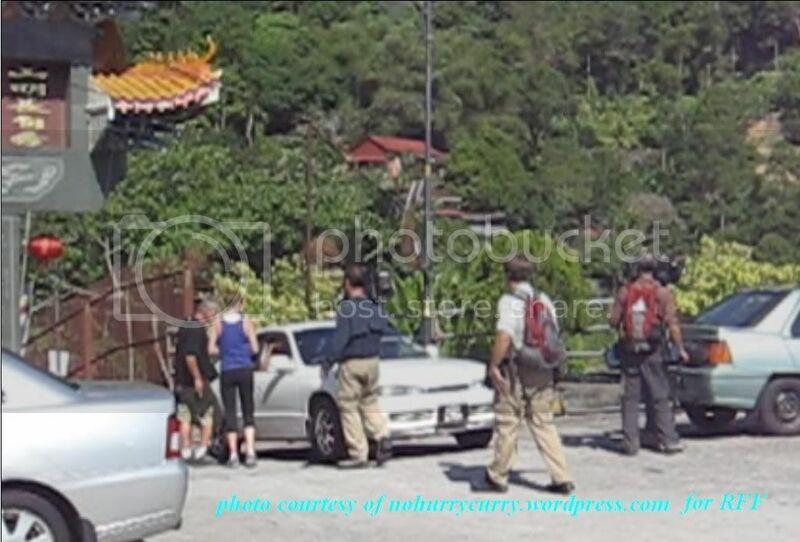 A great trip..
*I did not realise that they were filming the amazing race until the 2nd sighting, therfore no pictures were taken. 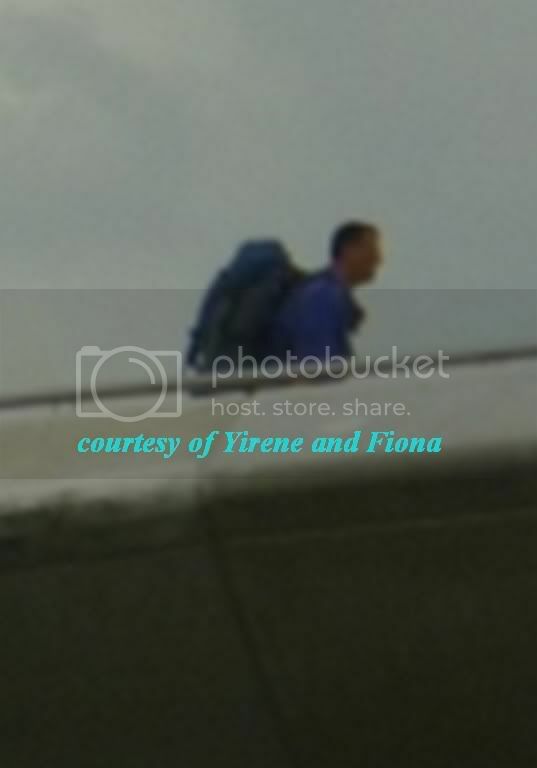 I was at the singapore flyer at about 11am, 16 dec 2009, when i saw the 1st group, male/female team(young couple, long hair girl dressed in blue). As the flyer was closed for shooting until 12.30pm, my family and i proceeded to sentosa's underwater world, where we spotted the 2nd group, male/male group (middle aged man, dressed in blue too.) wondering around Rasa Sentosa Hotel car park at abt 1pm, same day. Found a girl that saw amazing race filming at the megazip/Sentosa. *Natalie: okay i think.. there's this two guys with cowboy hats? n a couple team?(indians?) didnt hang around there very long... sorry! *While I would consider riding the Singapore Flyer, the world's tallest Ferris Wheel, to be one of the must-dos in Singapore, the night we went it was amazingly uncrowded -- in fact, we came very close to getting a tube of our own. My friends and I got there around 6:30, an arrival perfectly timed for sunset, which happens quickly this close to the equator. We navigated the maze of shops and ramps to the entrance and we hopped onto the slow-moving wheel without it even stopping. Soon we were out of the housing and getting great views of Singapore and beyond. Het, we could even see Malaysia and Indonesia -- a tri-nation view! We got great looks at the skyline and harbor as the sun dropped behind the tall buildings. We got a great perspective on the ongoing construction of the world's largest casino complex and on Singapore's floating soccer field. Additionally, we could see an unending line of ships at anchor, waiting for their turn to enter busy Singapore Harbor. All in all, the ride took just a hair over 30 minutes and regaled us the entire time, all for about $20. *Found this blurb on a blog. Not sure if it helps. Maybe it will help put the timeline together. Lunch at Subway! And guess what? We saw teams of Amazing race running around Sentosa. That was so cool! Watch out for the next season... Sentosa might be the pit stop for a leg of the race! *Well, the first team I saw were two big guys wearing blue and the second team were a couple. The male is blonde-haired and the female is a brunette. Ok guys, I hoped I got this right. I just received a FB message from this nice lady call Peach and she said that you guys want to know more about the race in Singapore. Honestly, I am not very sure whether the people I saw were from Amazing Race but just in case they were, let me fill you in with some details. WHEN: 16 December, about 130pm or so. 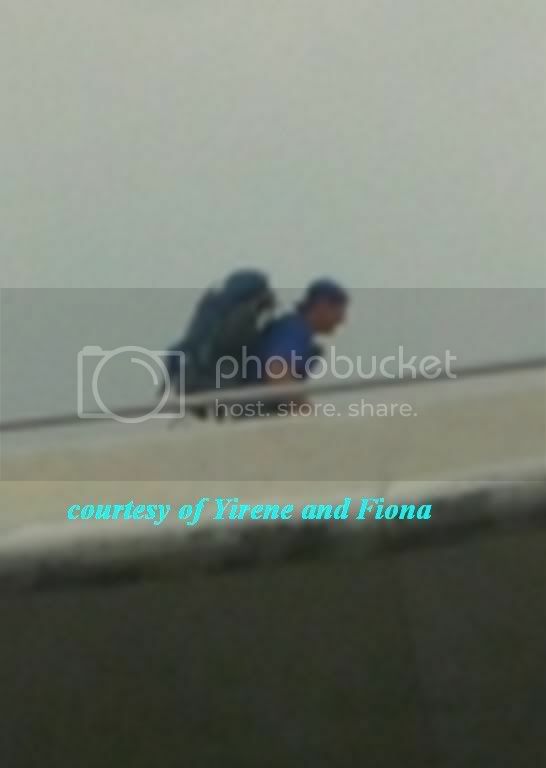 My friend, Fiona also mentioned that she saw another couple in red running in some time after. Alright, this article was taken from "THE NEW PAPER" (Singapore's "alternative" newspaper) and the issue is dated Friday, 18th December 2009. Just a quick heads up before I dive in into the article proper, there really isn't much new information inside the article and it seemed like the person who wrote it took most of it directly off RFF, in fact. But nonetheless, I'm posting it up here hoping it would be of some help to the investigation here. Is Amazing Race back in S'pore? 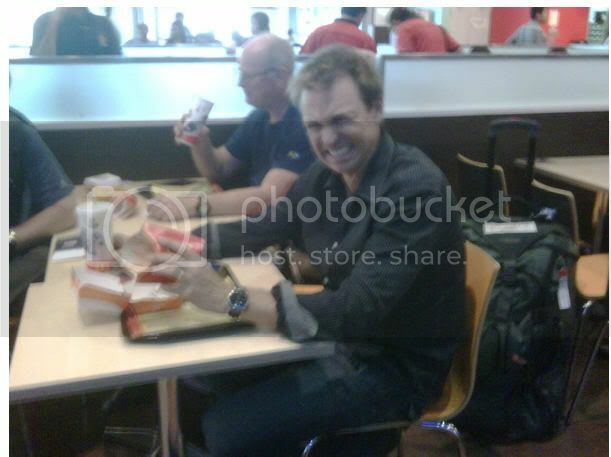 IS THE Amazing Race making a pitstop in Singapore again? 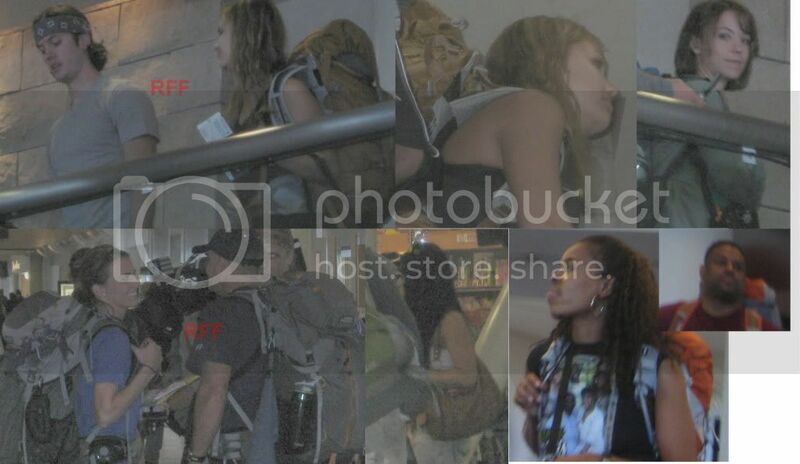 A US film crew was spotted at the Singapore Flyer and Bugis on Wednesday. And it looked like they were laying the groundwork and preparing for the impending arrival of contestants as the signature red and yellow striped envelope which participants need to find was seen by someone who posted it on the Net. But contestants were nowhere to be seen. Now into its 16th instalment, the US reality TV game show first came to our shores in 2002 during its third season. According to Ms Nicole Lee, 30, who works at Singapore Flyer's Japanese restaurant Hibiki, the tourist attraction was strangely quiet on Wednesday morning. 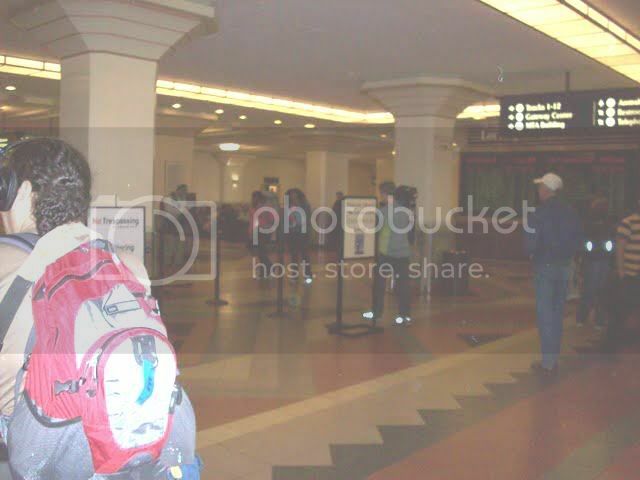 Curious, Ms Lee asked the receptionist, who confirmed that The Amazing Race had indeed been filming there in the morning. She told The New Paper: "When I arrived for work at about 11:30am, I saw a helicopter hovering above us, which is unusual." Singapore Flyer's marketing communications manager June Leong confirmed that it had been hired for filming a commercial TV production", but did not specify which one. 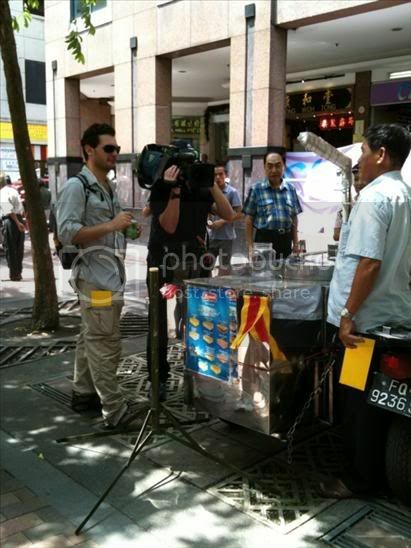 Later that afternoon, the crew moved on to Bugis where they were seen filming with an ice-cream street vendor. Miss Stephanie Tang was on the way back to her office at Parkview Square after lunch at Albert Centre when she spotted them. Being a fan of the series, Miss Tang immediately recognised the signature red and yellow stripped envelope. So she snapped a photo and posted it on Twitter. The 23-year-old marketing communications executive told The New Paper: "They were at The Bencoolen at about 1pm. 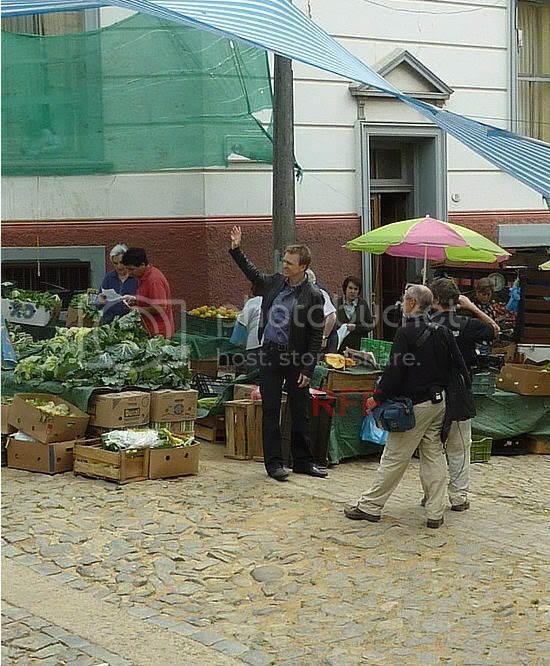 "The film crew asked an ice-cream vendor to hold on to a red and yellow envelope. I didn't spot any contestants around." Back in 2002, we saw The Amazing Race teams wandering through the National Orchid Garden, swimming across a manatee enclosure at the Singapore Zoo and getting wet in Suntec City's Fountain of Wealth. They also navigated maze-like HDB corridors in Choa Chu Kang, after which actor Gurmit Singh - playing Phua Chu Kang - handed them clues. Finally, actress and former Miss Singapore Universe Jaime Teo greeted them at the Mount Faber pitstop. 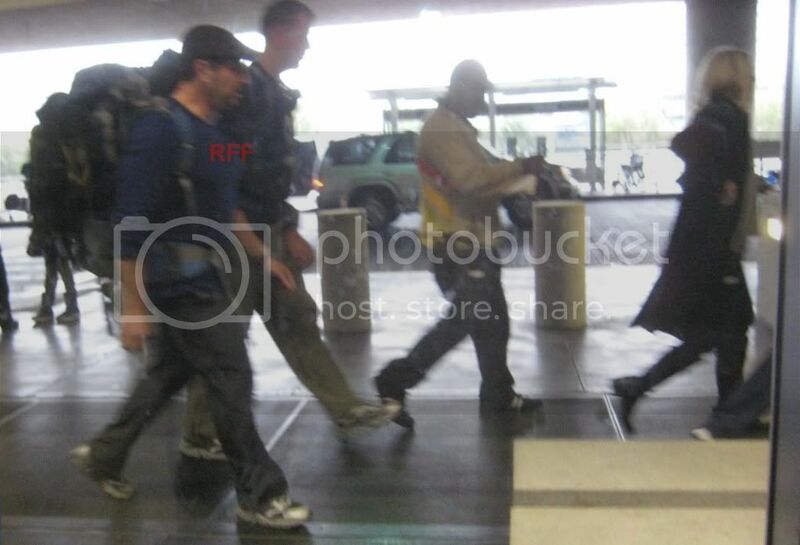 As for this season, it seems filming of the race started at the Los Angeles International Airport. While details have not been released, Entertainment Weekly reported that rumoured contestants Jordan Lloyd and her boyfriend Jeff Schroeder were spotted at the airport in competition attire late last month. Lloyd is US reality TV show Big Brother 11's winner and Schroeder was a fellow participant. 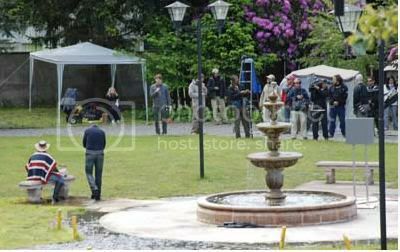 The film crew and contestants have also been spotted in South America's Puerto Varas and San Carlos de Bariloche, according to Spanish news websites. *Good work, Dragoondaniel! I saw a reference to a story being in TNP which I was guessing was The New Paper but I couldn't find it on their web site. I did find this thread at sgforums.com . It has a few tidbits and bears watching. at b.batok. blk 334 under the void deck there got mama shop there will be the pit stop. There's also some speculation about meeting "PCK" or "LKY and familee" or "the prata man". I assume these are local celebrities and are pure speculation. 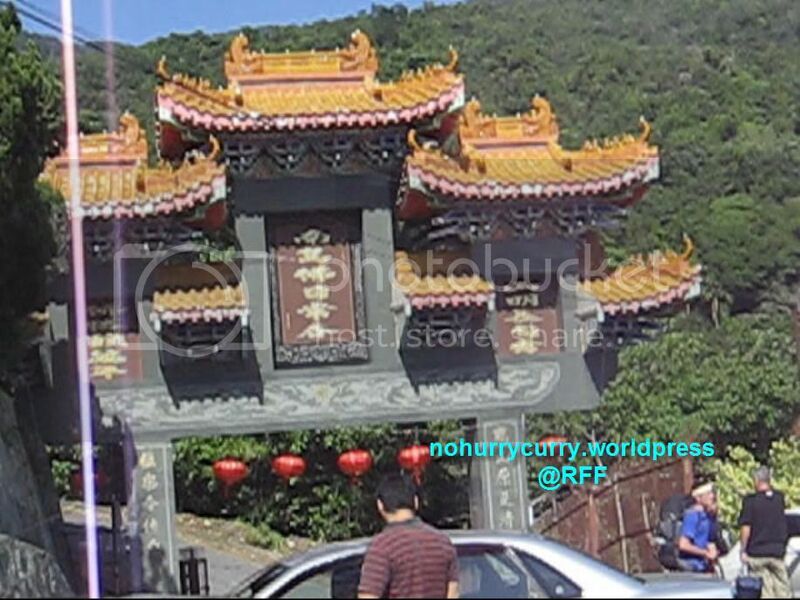 *There are reports of the production crew and contestants being sighted around Bukit Batok/Jurong, Bugis, Marina Barrage, Singapore Flyer and Sentosa a couple of days back. Yes, I just found out it definitely is Chile. OH WELL, WE COULD HAVE HOPED! Wolf Castle anyone? 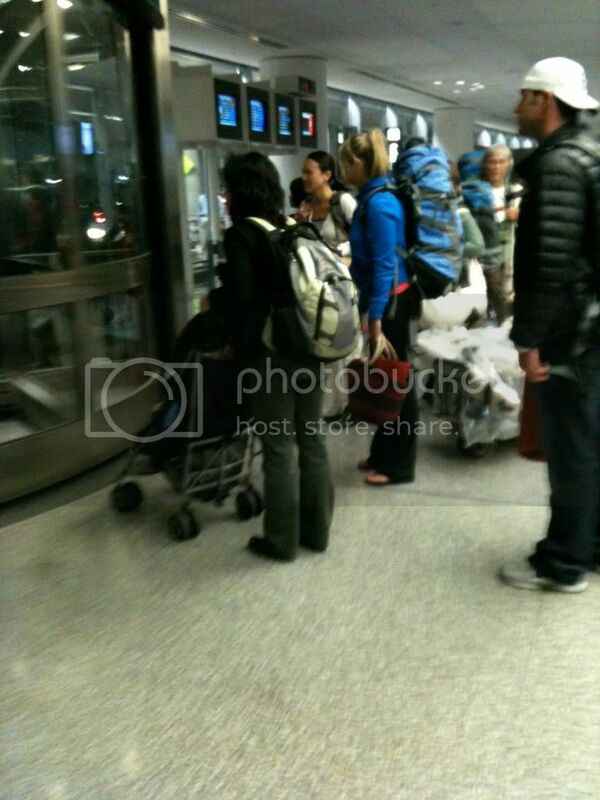 Possibly buses from the airport to Wolf Castle! Amazing race: I just called my friend in Toronto.There is flags and a cluebox outside the brickworks. 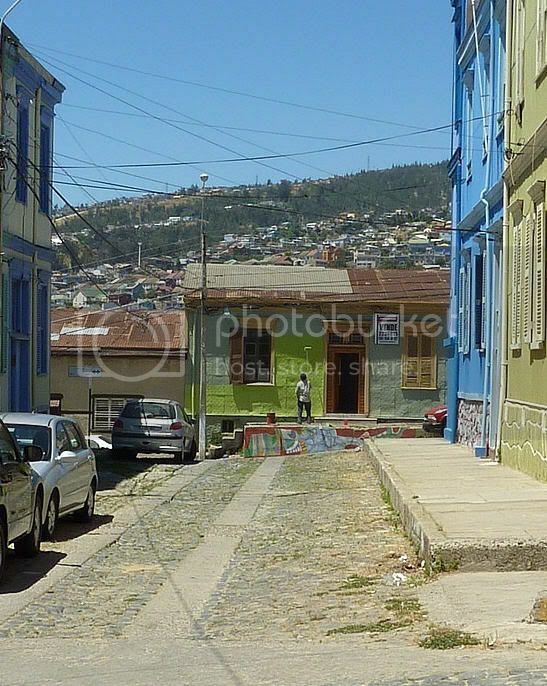 Have we got anyone here from Santiago or in particular Valparaiso! We should look into AA 945 from DFW to Santiago. Are there earlier flights that get there? This gives us something I hope! Can we think of a diverge point? Something completely new in the race? Or will it just be a decoying behaviour? 1/2 teams to Chile; 1/2 to Toronto? That would be interesting. Could accomplish a double elmination on 1st leg. Just spec though...until we hear from the "Man in the Field"
It is Santiago >>Valpairaiso guys. Remember who brought us the FALSE MAuritius spoiler. SOmebody be helpful here please and do some research. 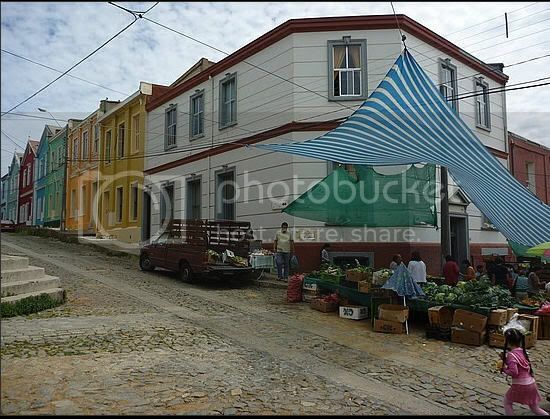 I would like to see a list of top sights and a nice map of Valpairaiso please. 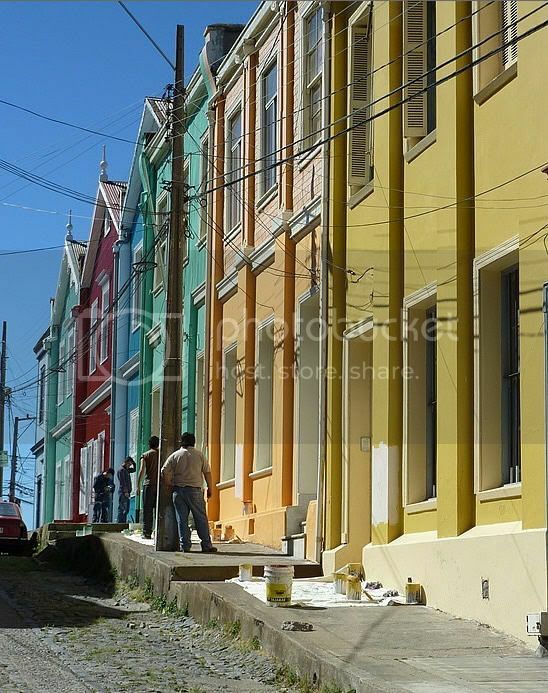 Examples of Valparaíso’s former glory include Latin America’s oldest stock exchange, the continent’s first volunteer fire department, Chile’s first public library, and the oldest Spanish language newspaper in continuous publication in the world. 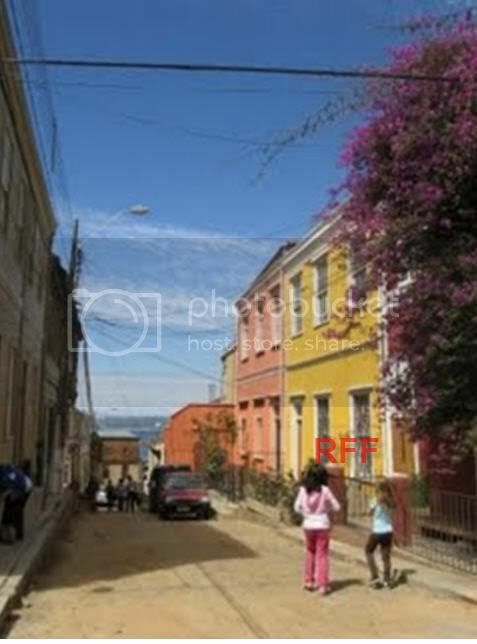 It has also been the residence of many artists, such as Pablo Neruda (TAR should visit his house) and Nicaraguan poet Rubén Darío. Someone know the flight attendans that fly lax to DFW.They need conformation that the teams are head to dallad. Anyone? Nice central map, zoom though! The 16 remaining "Funiculars", 15 public(national monuments)/ 1 private (that belongs to "Hospital Carlos Van Buren"), of which at one point there were up to 29 of them. The Bellavista hill, which has the "Museo a Cielo Abierto" or "open sky museum". Monument to Admiral Lord Thomas Alexander Cochrane, 10th Earl of Dundonald. Monument to Manuel Blanco Encalada, first Chilean President, Born in Buenos Aires, Argentina. Thanks guys!! This is a BIG help!! Also...can someone review all the tweets and see if we can possibly sort out the actual START location? Or some possibilities?? 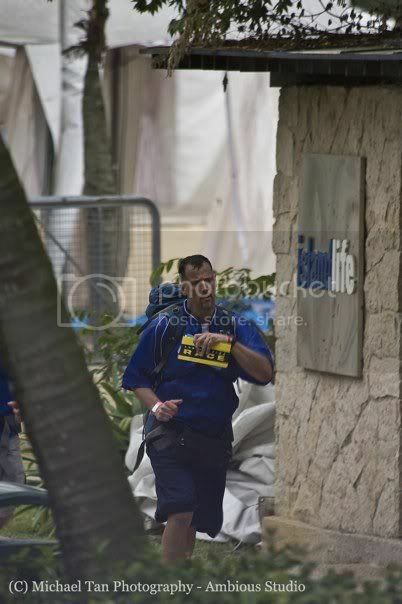 I have just been reading over them and noone specified anything about the start line at all so we can only speculate. I certainly didn't see anything about where they began! You have to research possibilities based on where they were seen kiwi, unlikely to have it handed to us. - Walt Disney Concert Hall (modern Bilbao-like structure) possible indoor start ? I think the hotel was said to be the Downtown Marriott so we might be looking at another big landmark in downtown LA. I can't find a wolf castle in Chile...anyone?? 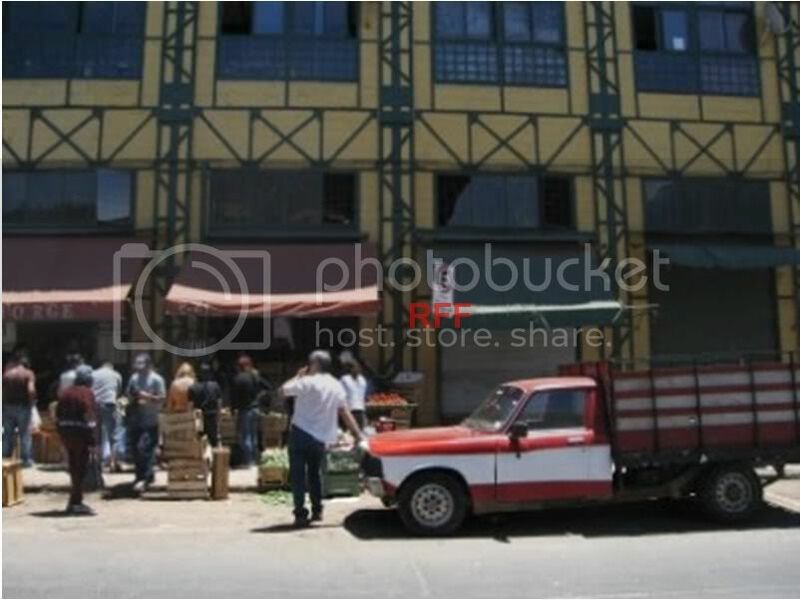 Could it be this place in Viña del Mar? Maybe not in Chile, but there is a Wolf's Castle in Wales. The possibilities are either Canada, Chile, or Wales.